In July 2018, and in collaboration with ODI Leeds, The Department for Transport (DfT) is holding a programme of four workshops across England. The consultation process will give local authorities, bus operators, transport data providers, transport suppliers, customers, and other interested stakeholders an opportunity to contribute to the final legislation. 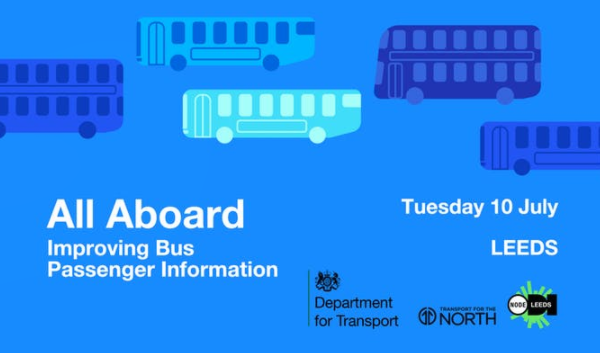 Prior to the four events, the DfT will be launching the legislation content in the ‘Consultation Document’ in a live-streamed event on Friday 6th July. Note: it is advised – although not essential – that attendees of this workshop are familiar with the content of the Consultation Document in advance. This event will be delivered in partnership with Transport for the North.